Slow Christmas Shopping in Santa Cruz Nature and Human Museum to remind us of the real meaning behind Christmas. 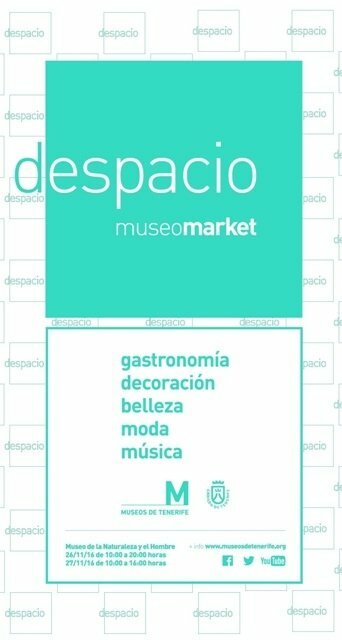 Do something wacky this weekend at the Despacio Museo Market (Slow Museum Market) - which aims to take us away from the usual commercialism of Christmas shopping and veer us towards something much more relaxed, deliberate and meaningful. The first edition of the slow market takes place at the Santa Cruz Museo de la Naturaleza y el Hombre (museum of Nature and Man). Shoppers can enjoy the museum at the same time as buying some very unique and traditionally Canarian gifts for your loved ones. The market is open this weekend from 10am (closing at 8pm on Saturday, 4pm on Sunday) and is located just a few minutes walk from the Plaza de España or Tram station Fundacion.